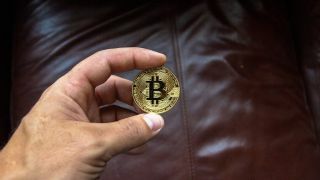 A recently discovered severe bug in Bitcoin's code has been exploited to create coins of a lesser-known cryptocurrency raising fears that others could be next. The developers behind the Pigeoncoin cryptocurrency confirmed that an unknown attacker successfully took advantage of the bug in Bitcoin's code to print 235 million coins worth around $15,000. The reason the attacker was able to do this is because over the years a number of cryptocurrencies have borrowed pieces of bitcoin's public code to use as their own and while the sever inflation bug was patched on Bitcoin, Pigeoncoin had not yet patched the exploit. The bug in question gives an attacker the ability to print as many coins as they want and even allows them to bypass the hard-coded limitations on the supply of cryptocurrencies, decreasing the value of all the other coins held by investors. The current total supply of Pigeoncoins is 970 million and the person behind the recent attack was able to print an amount of coins equal to one-fourth of all publicly traded pigeoncoins. This led to the cryptocurrency exchange CryptoBridge's decision to temporarily suspend trading while the developers worked on a fix for the issue. Pigeoncoin's developers quickly released a software fix using recently released code by Bitcoin's developers. While Pigeoncoin is safe for now, the cryptocurrency market is on edge waiting to see if other coins that use Bitcoin's code could also fall victim to a similar attack.